يضمن فندق Miners Lodge Motor Inn الذي رمم في 2010 لزائريه قضاء وقت ممتع في ماكاى، سواء جاؤوا في رحلة عمل أو سياحة. إن موقع الفندق الاستراتيجي، الذي يبعد 2.5 km فقط عن مركز المدينة، يسمح للنزلاء بالوصول سريعاً وبسهولة إلى العديد من الوجهات المحلية المثيرة. سوف يعشق النزلاء موقع هذا الفندق، فهو قريب من أهم المعالم السياحية في المدينة كمثل ‪Mackay Regional Botanic Gardens‬, ارتسبيس ماكي, ‪Caneland Central Shopping Centre‬ . إن Miners Lodge Motor Inn حريص على توفير الراحة للنزلاء، فلا يوفر الموظفون جهداً في تقديم أفضل الخدمات وضمان حسن الاستقبال. يقدم الفندق واي فاي مجاني في جميع الغرف, خدمة التنظيف يوميًا, خدمة غسيل ذاتية, مجهز لذوي الإحتياجات الخاصة, مرافق مخصصة لذوي الاحتياجات الخاصة لضمان الراحة القصوى لضيوفه. لقد جهزت هذه الإقامة الفندقية بعناية فائقة لتوفر مستوى عالي من الراحة. في بعض الغرف يجد النزيل تلفزيون بشاشة مسطحة, سجاد, قهوة فورية مجانية, شاي مجاني, بياضات. يقدم الفندق خدمات رائعة كمثل حمام سباحة خارجي, حديقة لمساعدتك على الاسترخاء بعد نهار طويل من النشاط والتجوال في المدينة. إن كنت تتطلع إلى إقامة مريحة وهادئة في ماكاى، فستجد في Miners Lodge Motor Inn بيتك الثاني. Thank you for your positive review Lachlan! No bedside tables. Noisy neighbours. Limited facilities in the room. Host not interested in really helping or providing information. We are sorry you were not happy with your stay. The Room in question has a built in bedhead & console behind the Queen bed with a built in bedside table. 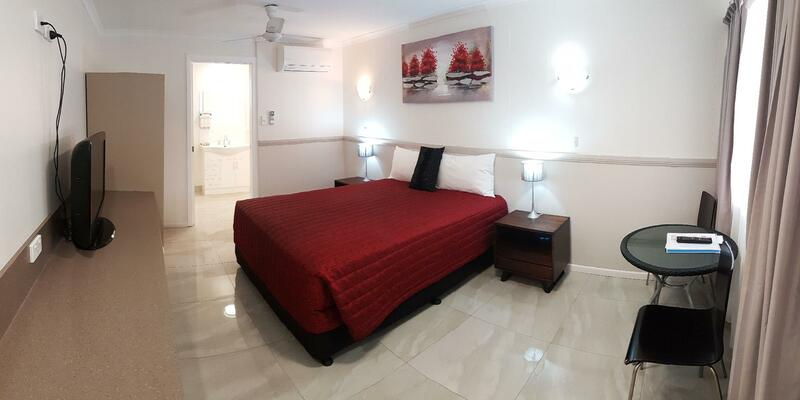 This is a two bedroom suite with a large wardrobe, two television sets, two airconditioners, a microwave, fridge, kettle, toaster, 16 channels of cable TV, free Wifi and an ensuite bathroom. We don't know what other facilities you were expecting in the room. We regret that you found our staff unhelpful. 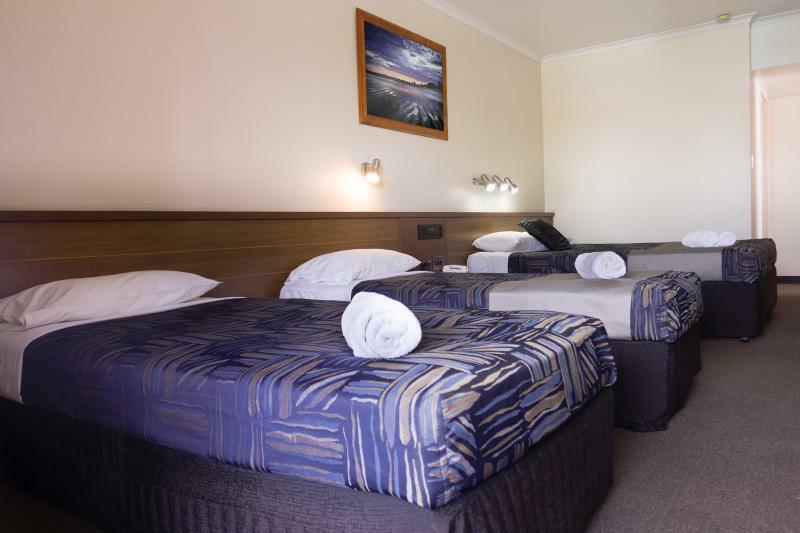 Our motel is known for its welcoming staff and obliging and helpful service. Unfortunately on the night you stayed we had two large families staying near your room who were in town to attend a funeral and they were a bit noisy. As per our usual practice we did request that they keep the noise down. These situations happen from time to time. However we do recommend that our guests let us know if there is a disturbance so that we can address it on the spot. We live onsite can be contacted by phone 24/7. can not recommend this motel highly enough, very friendly staff, old style rooms were spotless, and even the now one i stayed in for a 2nd night was amazing. Close to airport and CBD. Excellent service provided by owners and staff. 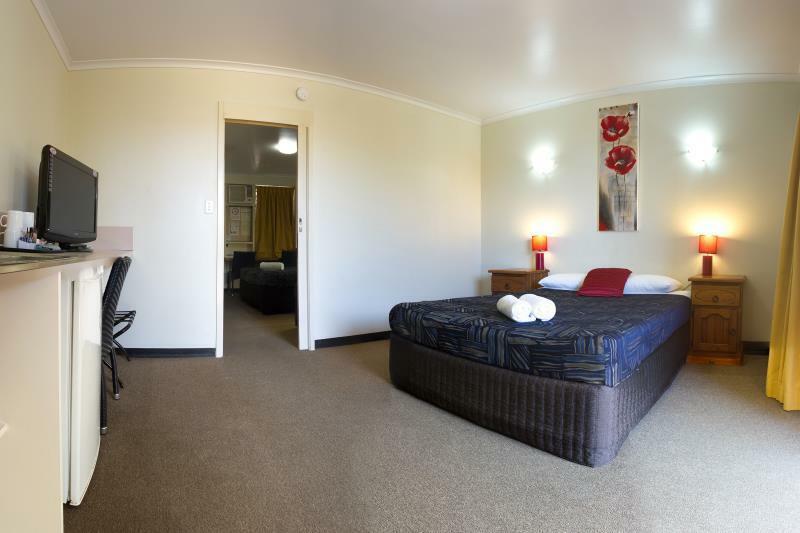 An excellent motel with outstanding owners who give the extra effort to make the guests feel welcome. I won't stay anywhere else in Mackay. It is within walking distance of The South Bowls Bistro. Which was excellent for lunch and dinner. FYI planes fly very low over the area, but not at night. Receptionist very pleasant. As new managers of this motel we have been looking at some old reviews and noted your comment about the bed. When we took over the management of the motel we saw the need to address a few issues and the beds were one of our top priorities. We are happy to advise that we have replaced a large number of the beds with lovely new extra comfy ones which have had a great response. We are shortly replacing some more. In the meantime we have invested in some super soft and comfortable mattress toppers so that even the existing firmer beds feel lovely and comfortable. We are renovating the rooms now have some beautiful rooms which are marketed as our Deluxe rooms and feature elegant porcelain floors, spacious new bathrooms and luxury bedding. We hope you will consider booking one on your next trip to Mackay. Great. The staff were very helpful and friendly. Central location was handy for hospital and airport travel. Disappointing. The managers were polite and accommodating but the complex needs some serious upgrading. The room was and had only the basic possible appeal. The bathroom had major rust on the door surround. The shower rose was broken along with water not being able to get away led to slippery floor conditions. This was also the disabled facility room so unacceptable. Our room was not serviced for our 3 night stay only towels and coffee given when asked. There were cracked power points and switches. On arrival a sign displayed a $90 fee for overnight where I paid $120. The rooms are not worth even the $90 In my opinion. 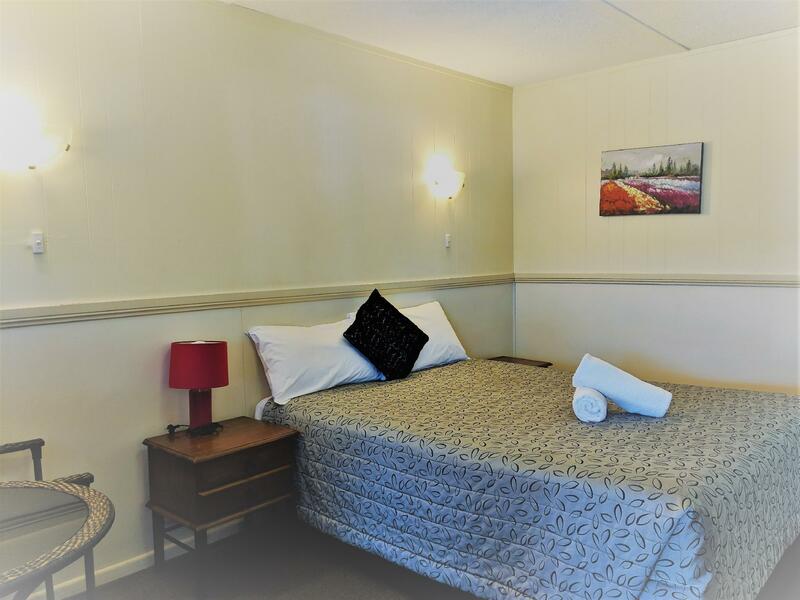 Having managed motels I was not happy with value for money with this complex especially noting that I travelled with my elderly mother who needed special care. We sorry to learn your stay wasn't comfortable. The Miners Lodge is under new management since your stay and you will find it is now very different. Maintenance is kept up to date, and we have already started a refurbishment program and our renovated Deluxe rooms have had a great response from guests. good bed, easy to find , friendly service. My stay was good. I will stay there again. Looking forward to having you back again Darren. Thanks for giving us a positive review! Thank you for your positive review Heath. We really appreciate it! Thank you for your review Robert. We really appreciate it! The majority of the motels in Mackay are on Nebo Road so some traffic is inevitable. However our motel is a solid construction and we find that only guests who leave their windows open during the night seem to be affected by traffic noise. Thank you for submitting such positive feedback Steve. We hope to see you again. It was good bit loud with the planes flying over the rope of the rooms. The bed was very very hard and not to comfortable Other than that it was nice. MACKAY is not cheap city to stay accomodation. I found this motel cuz it was normal price and normal condition. nothing expect to the high quality in this motel. just normal and normal. Thank you for your great review Kevin. We really appreciate it & hope to see you back again one day!